Governor Jared Polis appointed Long to the commission last week. She’ll continue serving as Aspen’s stormwater manager and clean river program manager. Long first started working for the city in 2008. The commission helps develop standards for water quality for groundwater and lakes, rivers and streams in Colorado. Pending confirmation in the Senate, Long will serve until February of 2022. The Water Quality Control Commission imposed standards for PFOS and PFOA, two types of perfluorinated chemicals (PFCs), the contaminants found in ground water as a result of Peterson Air Force Base using firefighting foam for years. The chemicals leached into the underground water supply, befouling wells and wreaking havoc on supplies in the Fountain Valley. The standard adopted by the commission is 70 parts per trillion for PFOS and PFOA, which was proposed by the Colorado Department of Public Health and Environment’s Hazardous Materials and Waste Water Management Division. The coalition also noted that it argued successfully against Colorado Springs Utilities’ bid to exclude its solids handling facility from the protected site. Biosolids have been identified as a possible source of PFOS contamination and Utilities’ facility lies within the alluvial aquifer targeted for protection. Gov. 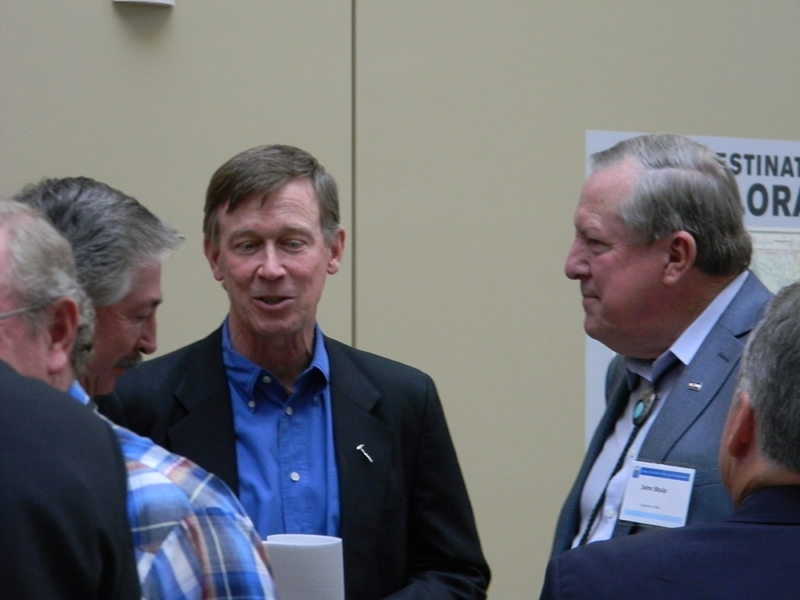 John Hickenlooper today formally endorsed the Windy Gap Firming Project, a water project that will serve cities and farmers on the northern Front Range as well as provide environmental benefits on the Western Slope. 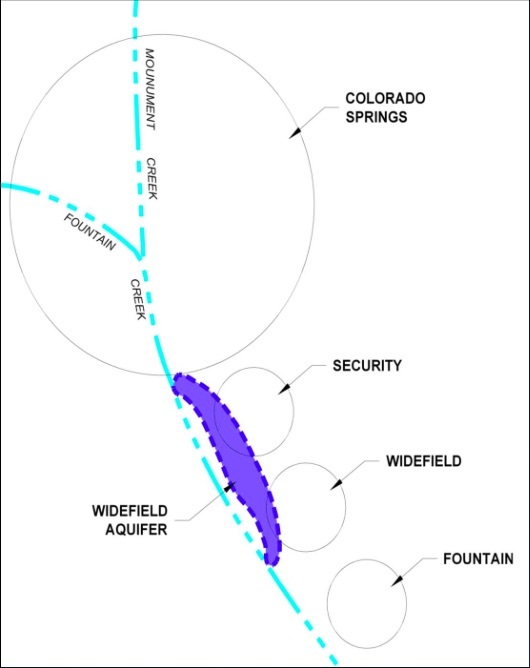 The project expands the existing Windy Gap system built in the 1980s and includes the planned Chimney Hollow Reservoir southwest of Loveland to ensure more reliable supplies for the Northern Colorado Water Conservancy District and other project participants. It also includes several protective measures for fish and waterways on the Western Slope. The Windy Gap Firming Project has been in the process of obtaining federal, state and local permits and certifications since 2003, including the required Fish and Wildlife Mitigation Plan approved by Colorado Parks and Wildlife, the Colorado Water Conservation Board and, most recently, the Section 401 Water Quality Certification from the Colorado Department of Public Health and Environment. With necessary permits and certifications for the project in hand, Hickenlooper also today directed his staff to work with the U.S. Army Corps of Engineers in the federal agency’s issuance of a Section 404 Permit, the final federal regulatory step for the project. Today the State of Colorado officially endorsed the Windy Gap Firming Project and Chimney Hollow Reservoir. John Stulp, Governor John Hickenlooper’s Water Policy Advisor, made the announcement at Northern Water’s Spring Water Users meeting in Loveland. Reading a letter signed by Gov. Hickenlooper, Stulp told the 200 attendees that this is the state of Colorado’s first endorsement of a water project under the Colorado Water Plan, which was finalized last November. “Further, the WGFP aligns with the key elements of the Colorado Water Plan…” Hickenlooper wrote. Northern Water’s Municipal Subdistrict President Dennis Yanchunas spoke for the project’s participants in saying, “It’s really exciting to have that endorsement, the first ever by the state.” [ed. emphasis mine] Colorado’s endorsement came on the heels of state water quality certification in late March. The Colorado Department of Public Health and Environment issued its 401 water quality certification for the Windy Gap Firming Project on March 25, bringing the project permitting process nearer to completion. “This is the next to the last step in getting the project permitted,” said Project Manager Jeff Drager. The state’s endorsement of the WGFP culminates 13 years of diligent effort and lengthy negotiations to permit and authorize a project that will assure a reliable water supply for more than 500,000 northern Front Range residents. The federal permitting process began in 2003 under the National Environmental Policy Act. 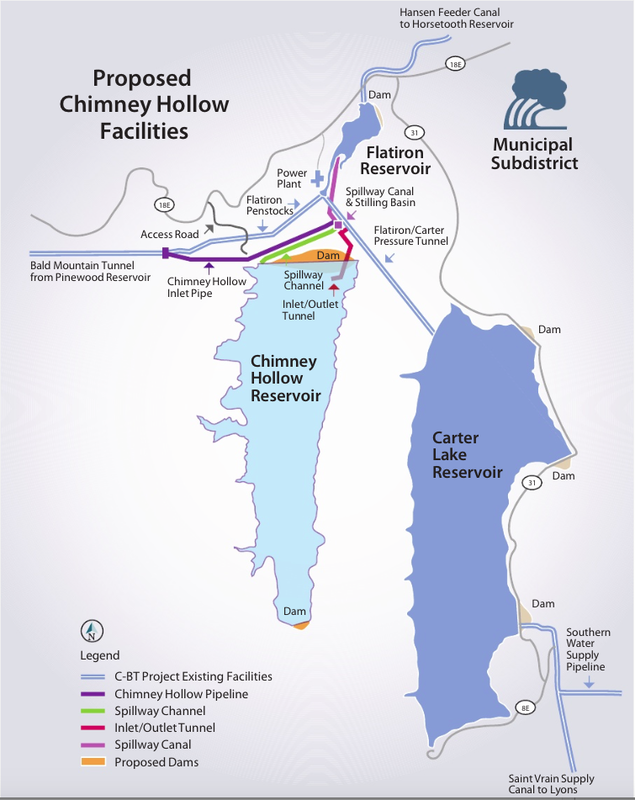 The U.S. Bureau of Reclamation served as the lead federal agency and issued a final Environmental Impact Statement in 2011 and a Record of Decision in 2014 for Chimney Hollow Reservoir. In addition, the Colorado Parks and Wildlife Commission and Colorado Water Conservation Board approved a fish and wildlife mitigation plan in 2011. The following year the Grand County Commissioners issued a 1041 permit and reached an agreement with Northern Water’s Municipal Subdistrict on a mitigation and enhancement package. A wide variety of organizations, including Trout Unlimited, support the CDPHE’s long-awaited ruling. “This permit is another step toward fulfilling the Windy Gap Firming Project’s potential to be part of a balanced water supply strategy for Colorado Front Range,” said Drew Peternell, director of TU’s Colorado Water and Habitat Project. “Through a balanced portfolio – including responsible supply projects like WGFP – along with stronger conservation and reuse programs and ag-urban water sharing — Colorado can meet its diverse water needs…” Peternell added. The Windy Gap Firming Project is a collaboration of 12 Northern Front Range water providers and the Platte River Power Authority to improve the reliability of their Windy Gap water supplies. 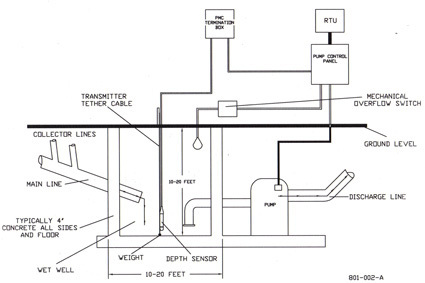 Windy Gap began delivering water in 1985. The participants include 10 municipalities: Broomfield, Erie, Evans, Fort Lupton, Greeley, Lafayette, Longmont, Louisville, Loveland and Superior; two water districts: Central Weld County and Little Thompson; and one power provider: Platte River. They currently provide water to 500,000 people. The current cost estimate for WGFP is $400 million. 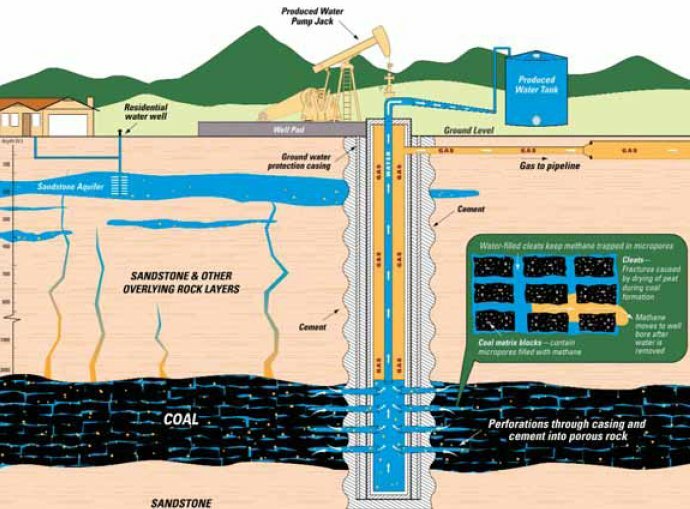 To date the participants have spent $15 million on associated permitting costs. The Windy Gap Firming Project is one step closer to being more than just big dreams and big dollar signs. The project, which would allow for the construction of the Chimney Hollow Reservoir southwest of Loveland, received the first endorsement a water project has ever gotten from the state of Colorado. John Stulp, special policy adviser for water to Gov. John Hickenlooper, read a letter from the governor at the Northern Water Spring Water Users meeting Wednesday at the Ranch in Loveland. In the letter, Hickenlooper applauded Northern Water for the Windy Gap Firming Project’s ability to bring communities together, protect fish and wildlife, and make Colorado’s water more sustainable, along with other ideals outlined in the Colorado Water Plan, which was adopted last November. While the endorsement from the state doesn’t advance the plan in earnest, it does give it credibility in the next and final step to getting its building permit completed. When the U.S. Army Corps of Engineers considers the project for the permit, it will want to know if the state approves of it. Now, with an official recommendation from the governor, the path should be smoother for the Windy Gap Firming Project and the Chimney Hollow Reservoir, Stulp said. The city of Greeley was one of the original six cities to invest in the existing Windy Gap Reservoir. Now, the city is a participant in the Windy Gap Firming Project. Once the Chimney Hollow reservoir is built, Greeley will receive 4,400 acre-feet of water per year. An acre-foot of water is roughly the equivalent of one football field filled with a foot of water — that’s almost 326,000 gallons of water, or more than 8,000 bathtubs full. Evans, Fort Lupton and the Central Weld County Water District are also participants in the Windy Gap Firming Project. The project is estimated to cost about $400 million and participants have thus far spent $15 million, according to the Northern Water release. The reservoir will store 90,000 acre-feet of water and will be located near Carter Lake and parts of Northern Water’s Colorado-Big Thompson Project. The Windy Gap Firming Project’s participants are primarily municipalities, but also include two water districts and one power company. The purpose of the project is to create an alternative water source for cities and companies to purchase water from instead of resorting to tactics like buy-and-dry or competing with agricultural land for water resources. During his presentation at the Northern Water Spring Water Users Meeting, Metropolitan State University of Denver professor Tom Cech talked population growth. He said right now, Colorado is home to more than 5 million people. By 2030, that number’s projected to rise to more than 7 million after having already grown about 30 percent since 1990. In the South Platte Basin alone, that kind of population growth will equal a shortage of about 410,000 acre-feet of water, or about 134 billion gallons. Between 133,000 and 226,000 acres of irrigated land in the South Platte River Basin are expected to dry up by 2030. With the rapid population expansion and resulting urban sprawl happening in Colorado, projects like these are more important than ever, said Eric Wilkinson, Northern Water’s general manager. Gov. John Hickenlooper on Wednesday weighed in formally backing the long-delayed and controversial $400 million Windy Gap project to divert more water from the Colorado River to the booming Front Range. Hickenlooper ordered state officials to work with the U.S. Army Corps of Engineers to obtain a final federal wetlands permit needed for work to begin. His endorsement is expected to aid that effort. Northern Water would expand its existing river diversion system built in 1985 by installing a new reservoir southwest of Loveland to hold diverted Colorado River water. That 29 billion-gallon Chimney Hollow Reservoir would supply farmers and growing cities. “This is the first time he has endorsed this project. We were certainly hoping for it. We were pleasantly surprised,” Northern Water spokesman Brian Werner said. Northern Water has been planning the project, working with state and federal officials on permits, since 2003. A mitigation plan, approved by Colorado Parks and Wildlife and the Colorado Water Conservation Board, lays out measures to protect fish and off-set environmental harm including altered river flows. Colorado Department of Public Health and Environment officials, responsible for ensuring water quality, signed off on March 25. Front Range users would would siphon additional west-flowing water — up to 8.4 billion gallons a year — out of the Colorado River and pump it back eastward under the Continental Divide. That water, stored in the new reservoir, is expected to meet needs of 500,000 residents around Broomfield, Longmont, Loveland and Greeley. Environment groups on Wednesday reacted with fury. Colorado officials endorsed a long-sought water storage project that would include construction of Chimney Hollow Reservoir southwest of Loveland. 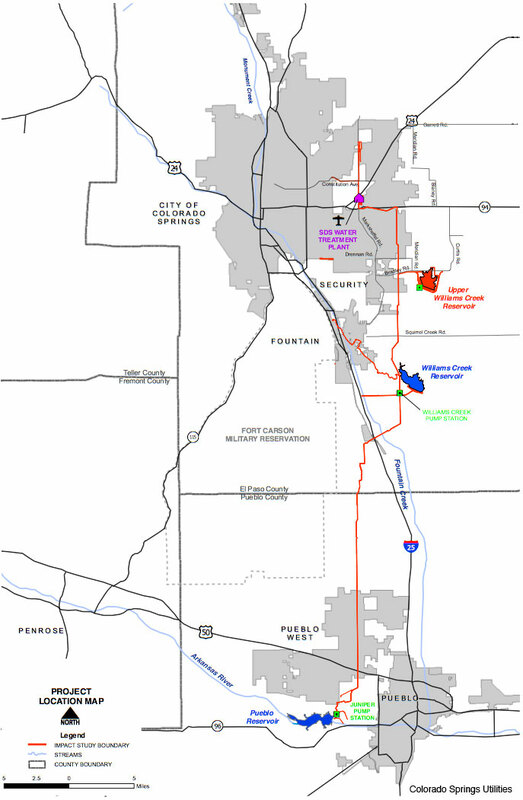 Participants in the water-storage project include Loveland, Longmont, Greeley, Broomfield, Platte River Power Authority and two water districts. Map from Northern Water via the Fort Collins Coloradoan. If the expected permits come through, final design on Chimney Hollow Reservoir would begin later this year with construction beginning in 2018-19, Werner said. Chimney Hollow Reservoir would hold up to 90,000 acre feet of water. An acre foot is enough water to meet the annual needs of three to four urban households. Larimer County would build and operate recreational facilities at the reservoir, which would be built west of Carter Lake. Carter Lake holds up to 112,000 acre feet of water. The Windy Gap Firming Project has been under federal, state and local review since 2003. It has been challenged by environmentalists over the years because of its impact on the Colorado River’s ecosystem through increased water diversions. In a recent email to the Coloradoan, the group Save the Colorado stated it would scrutinize the 404 permit decision from the Corps to ensure the project adheres to the National Environmental Policy Act, the Clean Water Act and the Endangered Species Act. Supporters say the Windy Gap Firming includes measures that would mitigate its environmental impacts and protect fish, streams and water quality in Grand Lake and the Colorado River. The project — formally called the Windy Gap Firming Project — calls for the construction of a new reservoir, called Chimney Hollow Reservoir southwest of Loveland. The reservoir will be designed to hold up to 90,000 acre feet of water, and reliably deliver about 30,000 acre feet of water every year, enough to support the needs of 60,000 families of four people. It’s an expansion of the existing Windy Gap system built in the 1980s to divert water from the Colorado River to the Front Range. But the construction of a new reservoir is crucial, said Brian Werner, a spokesman for the Northern Colorado Water Conservancy District, the lead agency on the project. Because of the Windy Gap project’s relatively junior water rights, water cannot be diverted in years when the snow pack is low. And during wet years, there’s not enough storage space in Lake Granby to store the Windy Gap water, which means it runs down the river. “Windy Gap right now doesn’t have any firm yield,” Werner said, meaning that the system can’t be counted on to have water available for customers every single year. “In wet years there’s no where to put it [the water], and in dry years there’s nothing to pump,” Werner said. 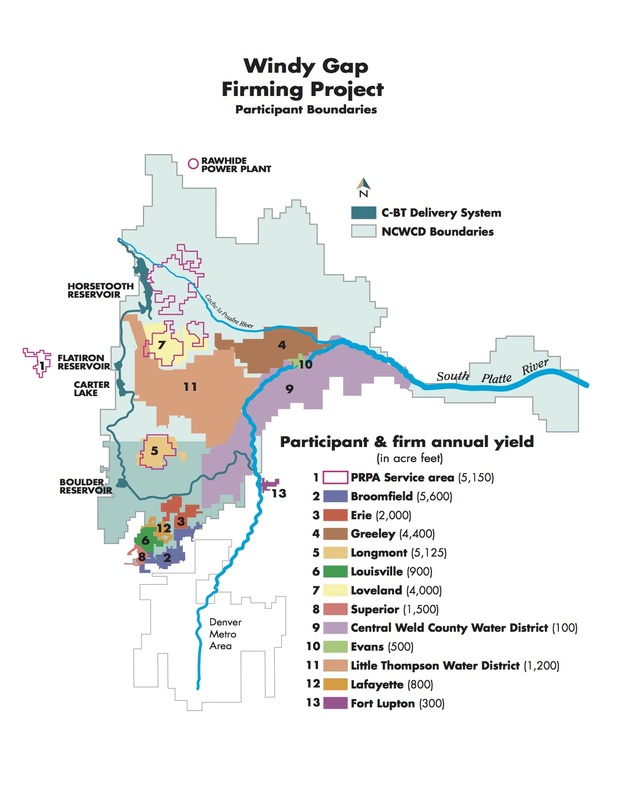 About 500,000 people live in the water districts that would be served by the Windy Gap Firming Project, including Broomfield, Lafayette, Louisville, Loveland, Erie and Evans. To date, the cost of planning and permitting the project has risen to $15 million, according to the Northern Colorado Water Conservancy District. And with population numbers expected to jump in coming years, this project and others will be needed to ensure there’s enough water for the communities to grow, Werner said. The project’s leaders have worked on agreements to mitigate environmental impacts to protect fish, ensure stream protection and reduce water quality impacts to Grand Lake and the Colorado River. Last month, the Colorado Department of Public Health and Environment this week released its final “401 water quality certification,” meaning that the state had signed off on the plans to mitigate the environmental impact of the project on the Upper Colorado River. Trout Unlimited, said the conditions imposed by the state health department put the “threatened river and fishery on road to recovery. “We firmly believe these permit conditions establish a strong health insurance policy for the Upper Colorado River,” said Mely Whiting, counsel for Trout Unlimited, in a statement. It took a long time to get here. Click here to take a trip back in time through the Coyote Gulch “Windy Gap” category. Click here for posts from the older Coyote Gulch blog. A Colorado appeals court Thursday reversed Pueblo District Judge Victor Reyes’ order for the state to re-evaluate its assessment of the impacts of the Southern Delivery System on Fountain Creek and the Arkansas River. Reyes issued an order on April 12, 2012, for the Colorado Water Quality Control Commission to reopen hearings on a 2011 Water Quality Act Section 401 permit for SDS. The permit is necessary for construction of the SDS pipeline across Fountain Creek because it is tied to Army Corps of Engineers permits. Colorado Springs Utilities is building the $940 million pipeline, which will take water from Pueblo Dam to El Paso County. The state decision was challenged by former Pueblo District Attorney Bill Thiebaut and the Rocky Mountain Environmental Labor Coalition. They argued that a numerical water quality standard was needed rather than relying on an adaptive management program that the Bureau of Reclamation established as part of an environmental impact statement leading up to approval of SDS. 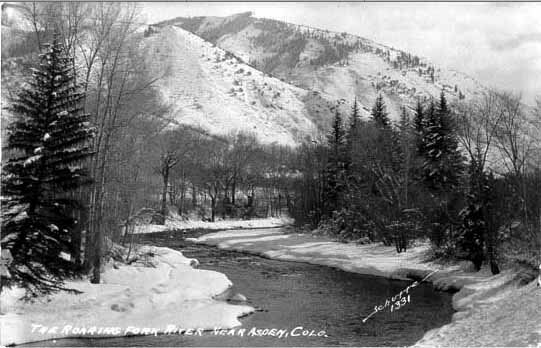 They also challenged the way public notices were made and said the state failed to look at the possibility of further degradation of Fountain Creek from population growth in Colorado Springs. The appeals court opinion said the Water Quality Control Commission did not violate applicable water quality standards, reversing Reyes’ decision. Judge Stephanie Dunn wrote the opinion, with Judges Nancy Lichtenstein and James Casebolt concurring. The opinion criticizes Reyes for adopting most of the wording in his decision from the complaint filed by Thiebaut and the coalition, saying it is not the court’s role to reverse a state agency’s decision without more rigorous investigation. “Where, as here, a district court adopts an order drafted by counsel, we scrutinize the order more critically,” Dunn wrote. The Colorado Court of Appeals reversed a Pueblo County judge’s ruling against a state water quality certification for the SDS project, which will bring water from the Pueblo Reservoir to Colorado Springs, the biggest water project in decades for Colorado Springs Utilities. The multi-million project is well underway, with miles of pipeline already finished and construction started on water treatment plants The appeals court ruled that the state Water Quality Control Commission was correct in approving the SDS water quality certification, according to a press release from Colorado Springs Utilities. The decision reverses Pueblo County District Court Judge Victor Reyes’ April 2012 ruling against the Water Quality Control Commissions’ unanimous decision approving the 401 water quality certification. Even before he took office, District Attorney Jeff Chostner realized he would have a decision to make on a case he inherited from Bill Thiebaut. Pueblo District Judge Victor Reyes ruled in Thiebaut’s favor in April 2012 on a challenge to a Colorado Water Quality Control Commission decision to certify Colorado Springs Utilities’ Southern Delivery System, a pipeline to deliver water from Pueblo Dam to El Paso County. On Thursday, an appeals court overturned Reyes’ order, saying opponents failed to prove their case. Those options include a petition for rehearing or calling for a writ of certiorari, which would ask to overturn the appeal decision. Colorado Springs Utilities has done all the necessary work to ensure that its Southern Delivery System does not wreck water quality in Fountain Creek, the Colorado Court of Appeals ruled Thursday. The ruling is a big win for the utilities’ $1 billion dollar pipeline project and creates “a clean path” for the project to continue, said Keith Riley, deputy program director for SDS. “It means we go forward as planned without adding additional mitigation,” Riley said. “Pleased” probably doesn’t even get close to the feeling of those at Colorado Springs Utilities, given a Colorado Court of Appeals ruling upholding the state’s approval of a certification for the Southern Delivery Pipeline water project. Nevertheless, that’s the word used in a news release by John Fredell, SDS program director, regarding the water quality permit issue. The ruling means a hurdle that has been cited by Pueblo County in correspondence with the Interior Department as a roadblock for SDS has been removed. More Southern Delivery System coverage here and here. 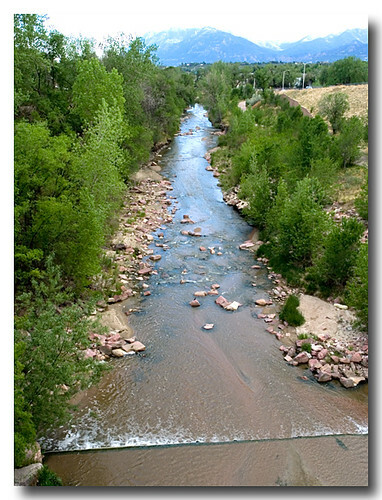 Nearly 10 years, $450,000 in penalties and $170 million in fixes later, Colorado Springs Utilities is done with a compliance plan the state imposed over series of wastewater spills into Fountain Creek and some of the tributaries that feed it. Earlier this month, the Water Quality Control Division sent a letter to Utilities officials notifying them that it was closing the books on the order because all requirements had been met. More Fountain Creek coverage here and here. The Colorado Water Quality Control Division has ordered the city to come up with an emergency-response plan, a sewer-maintenance program and a training program. The city had no such formalized plans in place as late as four months ago, said Steve Salka, the new utilities director. The city has struck a tentative agreement to spend $84,000 on backup generators for its sewer lift stations to bring it into compliance.